To this day, Hans Struzyna vividly remembers his first Windermere Cup. Everything was purple and gold. The colors that crowded the shores of the Montlake Cut contrasted with the deep blue of Lake Washington. The colors snaked their way into the University of Washington boats, where athletes sporting large purple W’s on their chests waited, muscles tensed and eyes focused, for the start horn. It was loud. Struzyna, who was 12, stood on a friend’s yacht, absorbed in the action and the noise and the excitement. The energy was pulsing. The UW fight song echoed off the water. 13 Current or former UW rowers competing in the 2016 Olympics and Paralympics, including eight for the U.S., four for Canada and one for the U.S. in the Paralympics. No, Struzyna will never forget that day. He decided he was going to be a Husky. 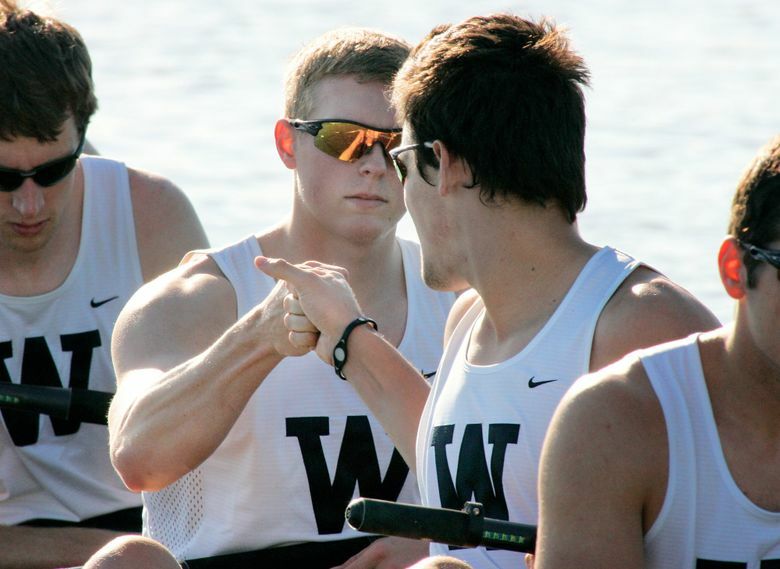 More than a decade later, Struzyna, having rowed four years at Washington before graduating in 2011, is gearing up for the biggest race of his life. As one of 13 current and former Husky rowers heading to Rio de Janeiro for the 2016 Olympics and Paralympics in August, Struzyna credits his alma mater’s history and tradition for helping him achieve his ultimate goal. With one of the most storied histories in collegiate rowing, it is no wonder that Washington rowers have such a prominent presence at the Olympics. The eight former Huskies who are competing for the U.S. — four others are rowing for Canada while current Husky Danielle Hansen was named to the U.S. Paralympic team — make up nearly 20 percent of the current Olympic rowing team. In total, 100 Husky rowers have competed at the Olympics. The program’s legacy of success can be traced back 80 years, when the Washington men’s eight traveled to Berlin and defeated the heavily favored German boat to capture Olympic gold. In an Olympics where Jesse Owens and the men’s track and field team were the focal points, sportswriter Grantland Rice wrote that the rowing victory was the “high point” of the entire Games. The 1936 crew’s triumph was brought to light in Daniel James Brown’s 2013 book “Boys in the Boat,” but Washington rowers have been living that history since 1936. The program’s past is handed down to each incoming class of rowers. 2012 graduate Rob Munn, who will compete in the men’s eight for the U.S. in Rio, says the memory of the 1936 team is seared into every Washington rower’s mind. But what about the other things you need to know? They are countless: articles and memorabilia pasted on the walls of the boathouse at UW, constant emails and phone calls to the extensive alumni network for advice. That, if you’re a male freshman, you better be ready to get your head shaved, because that’s what the 1936 team did before it headed to Germany. On the women’s side, it’s more of the same. They, too, have an extensive — though admittedly shorter — history of success. Washington’s women’s rowers have been key parts of Olympic teams since 1984, when five Huskies competed in the Games in Los Angeles. Since then, the UW women’s program has been represented at every Olympics. The legacy of the 1936 crew is not lost on the women’s team, either. 2010 graduate Adrienne Martelli, who will make her second Olympic appearance in Rio after earning a bronze medal in 2012, often thinks about her four years studying under the 1936 shell, which hangs above the dining room in the UW boathouse. Fellow 2016 Olympian Kerry Simmonds, a 2011 graduate, said a key component to each year’s “Rookie Week” is the reading of the Washington history of rowing. But history isn’t the only thing that separates UW’s program from other powerhouses across the country. Ask 10 different Husky rowers and coaches about what makes the program special, and they’ll give 10 different answers. For 2012 graduate Sam Ojserkis, it’s the connection to alumni. Ojserkis, who is the coxswain for the men’s eight in Rio, recently had the opportunity to meet 1984 graduate Betsy Beard, a fellow coxswain, who was a gold medalist at the 1984 Olympics and also competed in the 1988 Games. 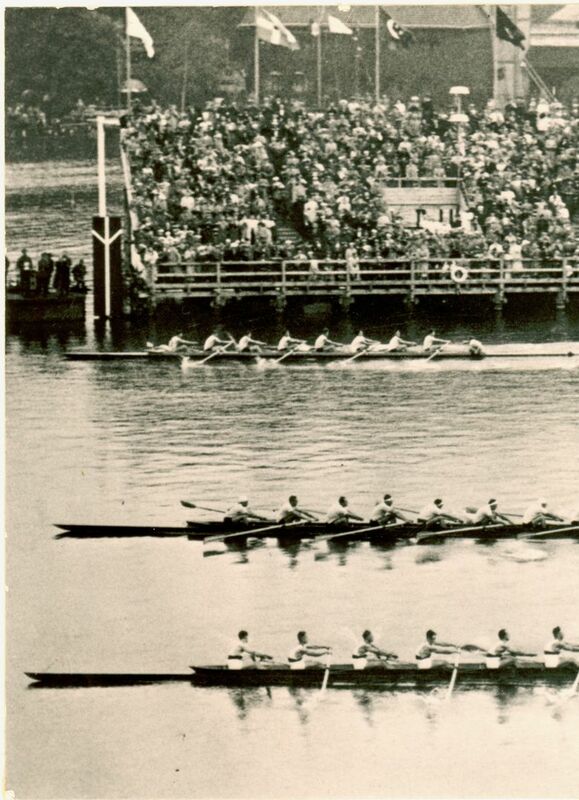 Others are quick to turn to Seattle’s love affair with rowing. Men’s coach Michael Callahan, a 1996 graduate, said the rowing culture in the Pacific Northwest is unlike anything he’s seen anywhere else in the world. There’s also the vast success of the program. The 30 national championship titles — 19 for the men and 11 for the women. The 17 Olympic gold medals. The 42 combined Windermere Cup victories, most of which involved defeating major national teams, including Russia, Great Britain and Australia. Then there’s the longevity of the coaching staff. Calla­han is the eighth head coach for the men’s program, which rowed its first race in 1903. Bob Ernst, who served at the helm of both the men’s and women’s teams over his 42 years at UW, was just the fourth head coach for the women before his controversial firing last winter. Given that there’s rarely a coaching position open, when someone new enters the program, expectations are heavy. Yasmin Farooq, however, thinks she’s up for the challenge. Farooq, who was hired in June to replace Ernst as the head coach of the women’s program, has spent the past 10 years coaching the women’s team at Stanford. Despite her newcomer status, the two-time Olympic coxswain has her perspective on the Husky legacy. Even 20 years later, she remembers rowing with UW athletes in the Olympics and winning the first U.S. women’s eight world championship with several Huskies in her boat in 1995. She, like Ojserkis, looked up to Beard, and cites training with her as one of her favorite memories. In a way, Farooq is a deviation from the typical Washington rowing newcomer, based on her Waupun, Wis., hometown. Callahan says much of the recruiting in both the men’s and women’s programs focuses on local prospects. But even those who aren’t originally from Washington work to find ways to stay connected to their alma mater. Kalmoe, who is based in New Jersey with the rest of the Olympic team to prepare for Rio, will open her home to UW rowers if they’re passing through for the many rowing events there. She, along with several other former Huskies, will travel to San Diego for national-team camp a week early each year to meet and work out with the current UW team, which trains in nearby Chula Vista in the winter. Simmonds is five years removed from the program, but still communicates frequently with the coaching staff and current rowers. As the 13 rowers prepare to travel to Brazil, UW is constantly in the back of their mind. They remember those that came before them, particularly the 1936 crew that won that gold. Eighty years later, they will look to do the same.